The American Institute of Buddhist Studies was founded in 1972 — at the request of H.H. the Dalai Lama and the late Ven. Geshe Ngawang Wangyal — with the ambitious mandate to translate and publish the originally Indian Buddhist artistic, scientific, and religious works collected in the Tibetan Tengyur (bstan 'gyur). AIBS received its 501(c)3 tax exempt status as The Buddhist Studies Institute in 1974. In 1977 the Buddhist Studies Institute changed its name to The American Institute of Buddhist Studies, keeping the same 501(c)3 tax exempt status. During the 1970s and 80s, with funding from the Institute for Advanced Studies of World Religions, the National Endowment for the Humanities, and private donors, translations were done slowly and steadily, while translators were systematically trained. In 1988, the AIBS secured its program for long term operation by entering into an historic affiliation with Columbia University, creating the Center for Buddhist Studies (CBS) and assisting the University in developing the endowment for the Jey Tsong Khapa Professorship of Indo-Tibetan Buddhist Studies. Its incumbent was formally charged with the oversight of the systematic translation of the Tengyur collection and its associated literature, and the income from its growing endowment was dedicated to that monumental task. In the last half-century, Indo-Tibetan scholarship has progressed markedly and a new generation of highly skilled and dedicated scholars has emerged. With improved analytical and technological tools, scholars are producing new translations, revising the pioneering works of their predecessors, and sharpening the critical edge of Buddhological, textual, and comparative methodologies. Throughout the first millennium CE, all of India’s classical "outer" arts and sciences (Tibetan: rigs gnas; Sanskrit: vidyāsthāna) — including linguistics, medicine, astronomy, political theory, ethics, art, and so on — as well as all of her classical "inner" arts and sciences (philosophy and the sciences of mind, meditation, yoga, and so on) engendered numerous renaissances across all of Asia. The knowledge comprising these arts and sciences was distilled and preserved in the thousands of scientific treatises (śāstra) held by the great Indian Buddhist university libraries such as those of Nalanda, Vikramashila, and Odantapuri. It is estimated that these Indic treasuries amounted to over one hundred times the holdings of the Library of Alexandria. While much of the explicitly Buddhist tradition was later lost in India, essential treatises were systematically translated into Tibetan by teams of scholars during the 7th–12th centuries CE. The resulting collection, preserved as the Tibetan Tengyur (bstan 'gyur), consists of translations of about 4000 Sanskrit works by over 700 Indian authors. The texts of the Tibetan Tengyur thus provide the essential key to unlock the knowledge not only of the classical Indian Buddhist arts and sciences but also of all the later Tibetan innovations which, rooted in this Indic tradition, were developed and refined for thirteen hundred years in Tibetans’ own studies, practices, and achievements. His Holiness the Dalai Lama always says he is the "son of the great Pandits of Nalandā." Nalandā was the great Buddhist Monastic University of classical India, delivering enlightenment sciences and world-transforming arts to millions of seekers from all over Eurasia. Those "Great Pandits" were genius adepts like Nāgārjuna, Āryāsanga, Dharmakīrti, Chandrakīrti, et al., and their voices are recorded in around 4000 works of sciences and arts that were translated into Tibetan. The Nalandā Library, “Jewel Treasure Ocean” (Ratnodadhī), was the greatest of the "Libraries of Alexandria" of the classical world, repository of human knowledge with achievement since unrivalled, especially in the field of the "Inner Sciences." It was destroyed a thousand years ago, along with up to 30 million texts suspected to have been available there and at its sister university, Vikramaśīla. All but 5% of even just those 4000 translated texts were thus lost in the original Sanskrit. Only around 7% were translated into ancient Chinese. Fortunately, these selected 4000 most important masterpieces have survived, preserved in the Tibetan Tengyur Collection in lucid, flawless Tibetan translation. Thanks to the kind inspiration of contemporary Tibetan master sages, such as H.H. the Dalai Lama, we are just beginning to translate, interpret, understand, and put into practice the teachings contained in these works. In this intense time of world crisis, the Inner Sciences are vital to survival, as they must urgently provide the methods for we humans to transcend our crippling delusions of self-estrangement from nature and other beings, and our self-destructive habits of greed and hatred that threaten all life with rampant consumerism and reckless militarism. Modern "inner sciences" of psychology and neuroscience are advancing tremendously, just held back on the brink of success by materialistic reductionism. Therefore, the voices of the great scientist sages of Nalandā must be heard, as they teach us what we need to know about mind being the most effective force in nature—and its control, cultivation, and accelerated evolution now being the key method of saving the world for all future generations. The foremost scholars of the holy land of India were based for many centuries at Nālandā Monastic University. Their deep and vast study and practice explored the creative potential of the human mind with the aim of eliminating suffering and making life truly joyful and worthwhile. They composed numerous excellent and meaningful texts. I regularly recollect the kindness of these immaculate scholars and aspire to follow them with unflinching faith. At the present time, when there is great emphasis on scientific and technological progress, it is extremely important that those of us who follow the Buddha should rely on a sound understanding of his teaching, for which the great works of the renowned Nālandā scholars provide an indispensable basis. In their outward conduct the great scholars of Nālandā observed ethical discipline that followed the Pāli tradition, in their internal practice they emphasized the awakening mind of bodhichitta, enlightened altruism, and in secret they practised tantra. The Buddhist culture that flourished in Tibet can rightly be seen to derive from the pure tradition of Nālandā, which comprises the most complete presentation of the Buddhist teachings. As for me personally, I consider myself a practitioner of the Nālandā tradition of wisdom. Masters of Nālandā such as Nāgārjuna, Āryadeva, Āryāsaṅga, Dharmakīrti, Candrakīrti, and Śāntideva wrote the scriptures that we Tibetan Buddhists study and practice. They are all my gurus. When I read their books and reflect upon their names, I feel a connection with them. The works of these Nālandā masters are presently preserved in the collection of their writings that in Tibetan translation we call the Tengyur (bstan ’gyur). It took teams of Indian masters and great Tibetan translators over four centuries to accomplish the historic task of translating them into Tibetan. Most of these books were later lost in their Sanskrit originals, and relatively few were translated into Chinese. Therefore, the Tengyur is truly one of Tibet’s most precious treasures, a mine of understanding that we have preserved in Tibet for the benefit of the whole world. Keeping all this in mind I am very happy to encourage a long-term project of the American Institute of Buddhist Studies, originally established by the late Venerable Mongolian Geshe Wangyal and now at the Columbia University Center for Buddhist Studies, and Tibet House US, to translate the Tengyur into English and other modern languages, and to publish the many works in a collection called The Treasury of the Buddhist Sciences. When I recently visited Columbia University, I joked that it would take those currently working at the Institute at least three “reincarnations” to complete the task; it surely will require the intelligent and creative efforts of generations of translators from every tradition of Tibetan Buddhism, in the spirit of the scholars of Nālandā, although we may hope that using computers may help complete the work more quickly. As it grows, the Treasury series will serve as an invaluable reference library of the Buddhist Sciences and Arts. This collection of literature has been of immeasurable benefit to us Tibetans over the centuries, so we are very happy to share it with all the people of the world. As someone who has been personally inspired by the works it contains, I firmly believe that the methods for cultivating wisdom and compassion originally developed in India and described in these books preserved in Tibetan translation will be of great benefit to many scholars, philosophers, and scientists, as well as ordinary people. I wish the American Institute of Buddhist Studies at the Columbia Center for Buddhist Studies and Tibet House US every success and pray that this ambitious and far-reaching project to create The Treasury of the Buddhist Sciences will be accomplished according to plan. I also request others, who may be interested, to extend whatever assistance they can, financial or otherwise, to help ensure the success of this historic project. Over the course of its existence, from ca. 435 to 1202 CE, the Buddhist University of Nālandā was home to some of the greatest luminaries of first millenium India. Built on the ruins of a seven hundred year old retreat center that had been destroyed by fire in 325 CE, Nālandā traced its roots to the monk Shāriputra, Shākyamuni's formost disciple. It was the home of the great Buddhist scholar-yogi Nāgārjuna, founder of the Madhyamaka School of philosophy, and his intellectual successors, continuing his legacy with an abbot of Nālandā, the Mādhyamika scholar-yogi, Chandrakīrti. Of the hundreds of known scholars to have walked the grounds of Nālandā over the centuries, H.H. 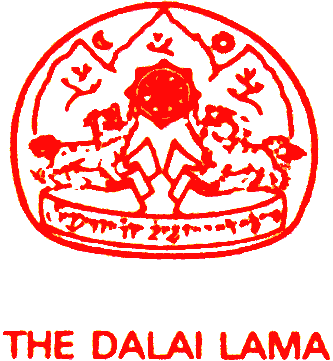 the Dalai Lama has singled out seventeen scholar-pracitioners (paṇḍitas) as his personal mentors of particular note. Exalting these individuals as "supreme sources of amazing and eloquent explanations, exceedingly fine scholars who are the ornaments of the world," His Holiness composed a poem in praise of them, for it is no exaggeration to say that through their lives and writings they came to shape the very meaning of Buddhist philosophy and religious practice, both in India and Tibet.